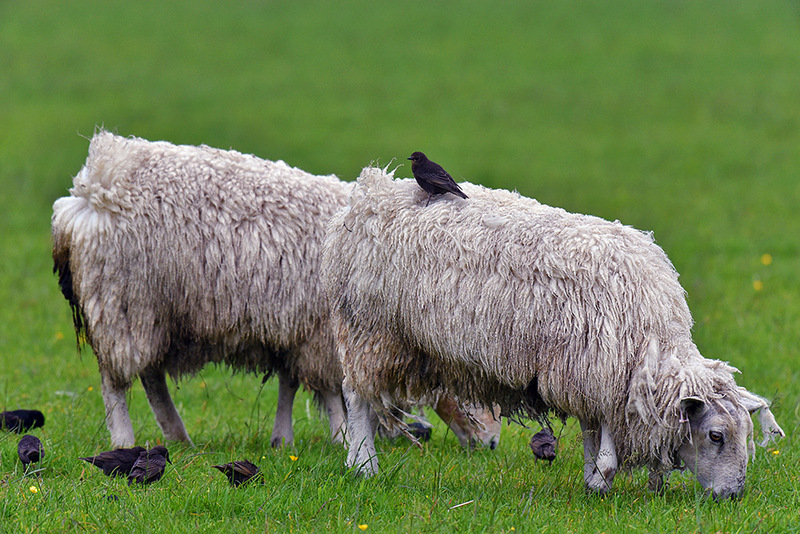 This picture should have been called Sheep with Passengers, unfortunately all the other birds jumped off to the ground before I could get close enough, leaving a Sheep with a Passenger. This entry was posted in Cloudy Weather, Landscape, New Post, Wildlife and tagged Islay, sheep, starlings by Armin Grewe. Bookmark the permalink.